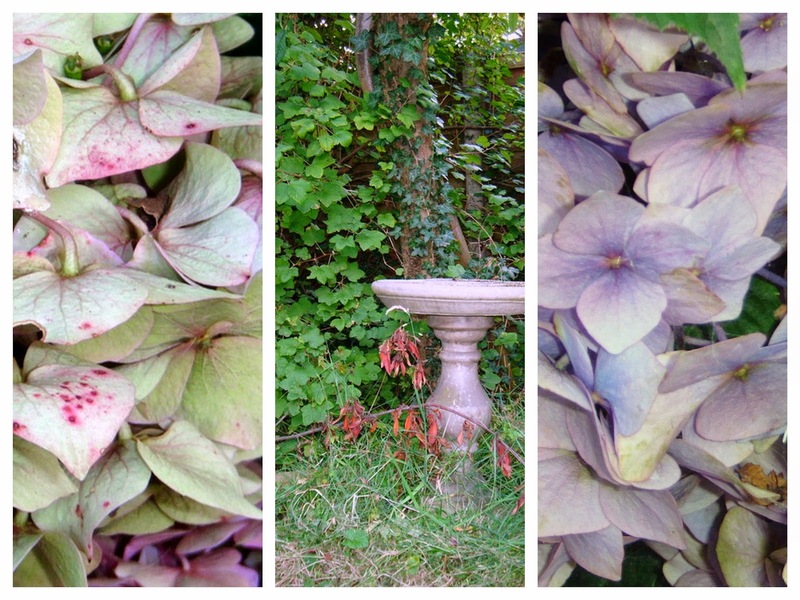 5 minutes in the back garden - I was really taken with the beautiful subtle colours of the hydrangea flowers, which have been pink and blowsy and not particular to my taste, but are now almost bleached and quite lovely in a summer's almost over sort of a way. 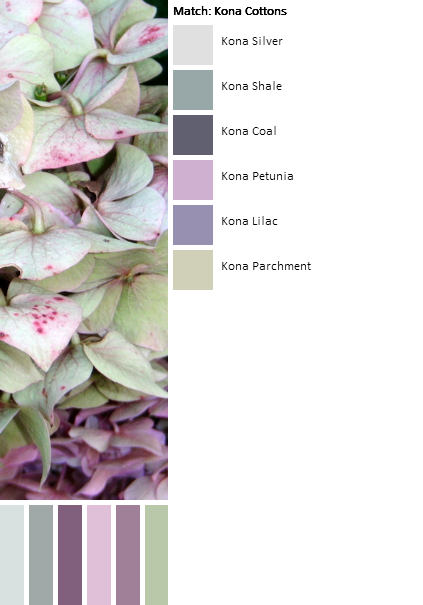 I even had a play on a palette builder. I know that the disadvantage of these programmes is that they don't take any account of the colour proportions within a picture but I've just got the hang of this and I'm having lots of fun! If I did want to make a quilt I would do it by eye, not this way, (even though this version kindly picked out the fabrics for me!) but I like seeing my photos translated into these nice little blocks of colour. Beautiful hydrangeas. I saw some last week that were fading to green. Gorgeous. The way they fade always intrigues me. Did you use Palette Builder on Play Crafts? I agree with you. Love looking at the colors it selects although I'd do it myself if I was really making a quilt. Gorgeous hydrangeas Kaja and you are right that they look prettier than when in full color. I love the colors the palette builder picked out. The shale and coal add just the right oomph! I was on Playcrafts, a sight like that, earlier today too.